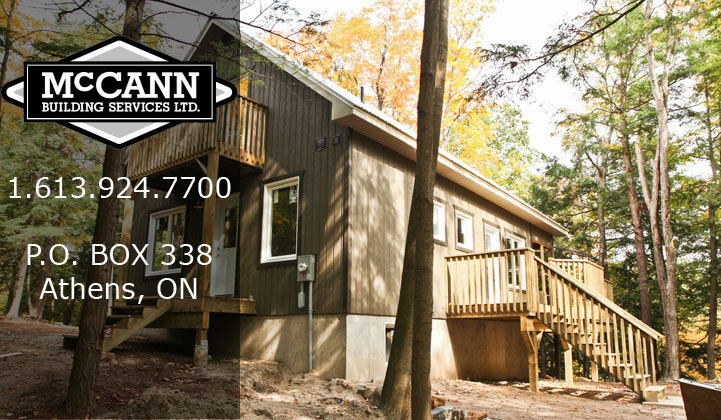 McCann Building Services of Eastern Ontario, a full service Construction and Renovation Company with 15 years experience in design and build of Custom Homes, Additions and Renovations. We'd highly recommend McCann Building Services. Mike made it a priority to communicate with us throughout the renovation- he was always available to answer questions and would call to update us regularly. Mike's team clearly take pride in their work, they were always courteous and we were very happy with their workmanship. We will be calling on Mike again for our next project! This note is to thank you, your crew and sub-contractors for building a wonderful house. We would highly recommend McCann Building Services to anyone looking for custom work. From the initial planning meeting to exterior finishing the advice and examples given by yourself and crew members translated into a structure and custom finishes that we are proud of. Your recurring use of specific sub-contractors and suppliers creates a more reliable work team to complete quality work close to schedule. During the initial meeting, we had a concept plan that we eventually provided as a full engineering drawing from which the house was built, including additions that were later added. The in-floor heating system was your first large in-floor heating project that was professionally installed by the concrete and heating contractors – it works very well! We were happy to see the use of real plywood for the roof structure, quality windows and doors, and our selected exterior finishes and colours professionally applied. We are delighted to be here and love the house. From the start of construction for our new custom home to the move-in-day the McCann team of experienced building crafters were doing what they promised. We had steady work-flow through the project with no real delays or hiccups. Events were very well-managed, and issues were anticipated, dealt with expeditiously and resolved. The workmanship and attention to quality materials shines throughout the finished house. We also had fun and enjoyed dealing with each one of the McCann team. Thank you again for the excellent work you and your team at McCann's Building Services did on our home addition. We have received so many compliments from friends and family members about your work. Thank you for your honesty every step of the way and for addressing issues with the greatest sense of professionalism and consideration. The "Boys" were always on time, worked hard and were respectful of our personal space. Your subcontractors were equally professional and courteous. Please know that we will be more than happy to refer you to anyone looking to make home improvement changes. Thanks so much to Mike and his work crew for a great Reno job! Mike was always accessible, adaptable to our changes once work was in progress and helping us to stay on budget. Your crew and foreman and other tradesmen involved were knowledgeable about the project and answered any questions we had when we were on site. We are certainly pleased with the workmanship and final outcome. Thanks again for working through the spring rain, mud and black flies to get our cabin ready for summer! We contracted with Mike to build a home for us on our lot in 2013. Mike was very patient with us as first-time homebuilders throughout the planning and construction process. His crew was professional and performed excellent work. We are very pleased with the workmanship and value in our new home. Mike has continued to provide excellent follow-up service for any issues we might have. My wife and I recommend Mike McCann as an excellent local builder. We would like to thank you for your help in building our family’s vacation home. While there are many excellent builders to choose from, you and your company stood head and shoulders above the rest with your attention to detail, prompt response time and quality workmanship. From the beginning of the process, you provided feedback regarding our plans, often making suggestions that we had not considered which added value to the final finished product. 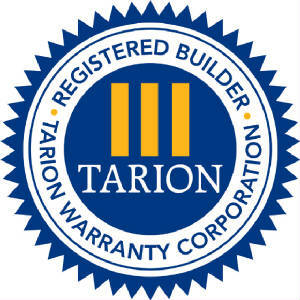 During the building process, you guided us through the process of building a house from the ground up, you maintained excellent communication (which may have taken a lot of effort on your part since we live seven hours away from where the property was built) and, most importantly, your team stayed on schedule and within the budget set forth at the beginning of the process. In fact, your team went above and beyond to finish our cottage on a specific date so that we could spend Christmas in Canada. The end result of the building process is a beautiful vacation home that our family enjoys and will continue to enjoy for many years to come. Having spent some time enjoying the cottage now after the completion of the building process, we are even more delighted with the quality of home that you built for us. We look forward to many years enjoying the quality craftsmanship that you provided. Further, we highly recommend McCann Building Services without reservation. Please feel free to have any prospective clients of yours contact us with any questions they may have. We want to take time to thank you and your staff for the excellent job you have done on our new home. When my wife and I had decided to build our new home and came to you for help in the design and to help with questions we had about beginning the process we felt comfortable dealing with you from the start. As we went about building our new home you and your staff and the tradespeople you deal with were more than helpful when asked for advice or in answering questions. Most people had told us that building a new home is stressful and you made our home building experience an enjoyable time in our life. We are more than happy with the quality of workmanship and the finishes such as the mouldings and trim work. As we went through the steps of building our home you providing a time line for us to follow was a great help. When one step was occurring you gave us a list of descisions we should make prior to the next step beginning and the time frame we should make them by. This was a great help to us and allowed us to follow the building progression to completion. I would recommend you to anyone needing a building project completed and speak highly of you to our friends and family when they visit us in our new home. You showed us great service from the point of groundbreaking through to the last finishing touches. Your company provided all the services to allow us a start to finish experience. Once again we thank you for building our new home and making it an experience we thoroughly enjoyed. I am writing to tell you how much I appreciated working with you and your crew on the renovations we did to our cottage this past Fall. I know that I can be a very demanding client, and my architect, Brian Miller, and I always appreciated your team's ability to meet our expectations. In particular, your lead foreman, Ken Barrington, was always ready to discuss any challenges that came up (as they always do in renovations! ), and to find a way forward. I was also impressed by the integrity and fairness that you displayed in accounting for different materials that I provided or that we were able to re-use in the process. It would be my pleasure to work with the McCann organization again, and I would certainly recommend the firm to others seeking contracting services on Charleston Lake or in the Athens area. Jackie and I had considered building in Athens for many years and after careful consideration decided that McCann Building Services was the Contractor for us. They came highly recommended from a local Certified Architectural Designer who designed our house plans. McCann Building Services was able to provide us with building alternatives during construction that made our home what we considered ‘extra’ custom. Also, their choice of sub-trades was second to none and was in line with our preference of using local tradesman. We highly valued that McCann Building Services was up to-date on digital communication which streamlined making decisions on such things as finishes, fixtures and the review of sub-trade submissions. In closing, we would recommend McCann Building Services to anyone considering building a house and/or any other construction related project. Mike McCann and his team of professionals made building our dream cottage and future retirement home an incredibly exciting endeavour. Initially we were very anxious as to whether we were prepared to handle this project given we were a couple of hours away and had never done anything before to this scale. Working with the McCann team allayed that anxiety from beginning to end. The management of the project was well-organized and well-executed with an impressive work ethic. Constant communication, forethought, and problem-solving ability from Mike and his team made the process move along smoothly and timely. The level of craftsmanship and attention to detail exceeded our expectations. We highly recommend McCann Building to family, friends, and strangers. On behalf of the Lower Beverley Lake Park Management Board, I would like to take this time to recognize the excellent service provided by you and your staff during the construction projects which were recently completed at our campground facility in Delta. Throughout the expansion of our open air pavilion and the construction of our ball diamond washroom/canteen building, the services offered by your staff and the various sub-contractors were very professional. During the initial planning stages, it was very reassuring to have your support and knowledge when questions arose. Your willingness to provide guidance, suggestions and contacts was greatly appreciated. It was quite reassuring to know that, following our discussions, there would not be any additional hidden requirements. As project construction progressed, the superior quality of craftsmanship quickly became evident. The ability of the various tradesmen to work efficiently and cooperatively together produced two excellent final products in a most economical and practical manner: the pavilion expansion allowed for larger outdoor social activities to be held on our grounds and the new washroom / canteen building will foster the hosting of ball games, tournaments and outdoor concerts in our park. Recognizing your commitment to quality, excellence and customer satisfaction, I am quite confident that our working relationship will continue in years to come. Thanks again for all of your time, effort and support. I am just delighted with the results which you and your team and subcontractors have produced for me. The quality of the workmanship and materials you have used is extremely high and the attention to detail is first rate. I have been particularly impressed with the creative way which you and Kenny have dealt with unexpected issues and come up with excellent solutions. I am thinking particularly of the way you identified the defective foundations and got the planning permission amended so you could replace them, how Kenny redesigned the back porch and the staircase when the architect's drawings did not work in practice, how you arranged to move windows and even walls when I did not like the original. And throughout you have been responsive to my requests and have come up with very cost effective solutions. You have put things right when problems arose , such as the misplaced woodstove chimney and the floor tiles being unavailable at the last minute (neither of which were your fault, but you got them sorted out). You have gone the extra mile, such as the help which you and your brother gave when the movers were unable to deliver my furniture because of the rain. In short, I am very very pleased and will recommend McCann Building Services without hesitation. As owners who are retired and living far away, we required construction of our new summer residence to be compliant with a detailed design, on time, within budget and no change orders. Most of the construction phase was executed while we were living in the U.S. Communications were important and vital to getting what we wanted. We also needed the builder to work through permit requirements based on good relations with all government authorities. McCann Building Services hit a grand slam homerun. Mike has developed a strong reliable crew who work well with outsourced trades as the project develops. While my wife and I were more familiar with southern climate construction, we discovered we could trust the good and experienced judgment of everyone working for Mike who grew up in the area and always had spot on recommendations of design features and materials that perform well for our lakeside home. The crew was always respectful of my wife's suggestions and interests and worked with her to accomplish what she wanted in areas that mattered most to her. My job as the owner was to be clear about what we wanted, listen to local suggestions how we can best get what we want that will work best and then avoid time elaboration and stay out of the way and not get caught micro-managing. We love our Canadian home. We continue to rely on McCann Building Services to monitor and maintain our property during our absence. We commend McCann Building Service without reservation and with high regard to others considering an investment in Canada for lifetime enjoyment. Lorraine and I wished to express the gratitude we feel for the personalized help that McCann Building Services provided in guiding us through the construction of our new vacation home in Ontario. As we are Americans and the US financial system was in crisis mode at the time we decided to proceed with the construction project, we really needed someone with your knowledge and skills to lead us through the whole process. Explaining the myriad of decisions that arose during the construction was challenging enough but you identified changes from the original plans that really helped to make the final result just what we wanted. We found your thoroughness and professionalism an important part of the eventual success of our building project. With constructing a new home, as you know, there are many issues and problems will inevitably arise, and we were grateful for your help as we were able to overcome these without any difficulty. We are quite happy with the completion of our vacation home and wanted to again let you know how satisfied we are with the result. We really appreciated your help and patience with this 5 month long project and can unequivocally recommend McCann Building Services as we always felt you had our best interests and complete satisfaction in mind. Dear Mike & Crew - Thanks very much for the great job you did on the recent addition to out home. We are enjoying it immensely! McCann Building Services © 2013.